Rich in history, art and culture, Tasmania is a stunning destination for a getaway. Whether you’re seeking the ultimate romantic retreat or a memorable trip away with friends, there is a range of luxury accommodation options to suit every occasion. 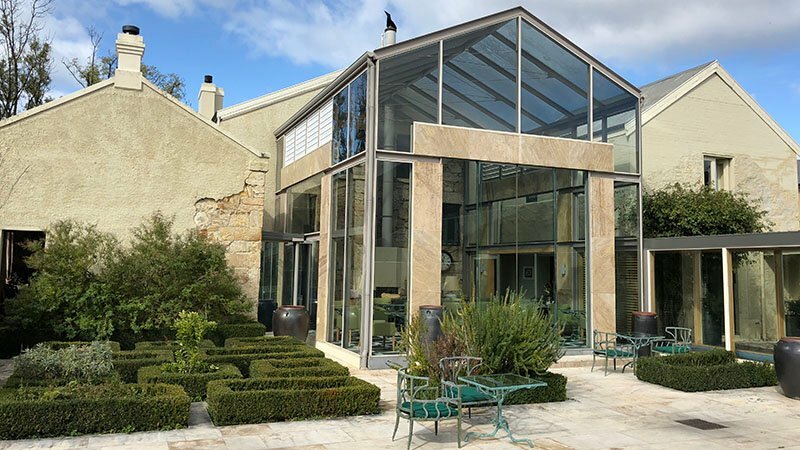 Surrounded by the breathtaking Tasmanian landscape, these hotels can be found amongst pink granite mountain ranges, immersed in native bushland, beside oceans, and even upon glacial lakes. They are former mansions, esteemed estates, and World Heritage sites. But, with so many incredible options, selecting the perfect place to stay can seem like a challenge. Thankfully, we’re here to help. 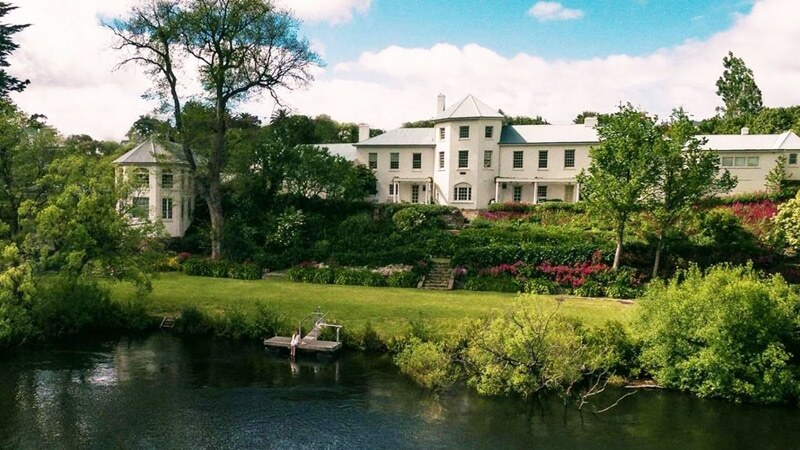 Here are the best luxury accommodations in the Tasmania that you need to visit today. Whisk away your family or loved one to a private island retreat at the exclusive Picnic Island in Tasmania. 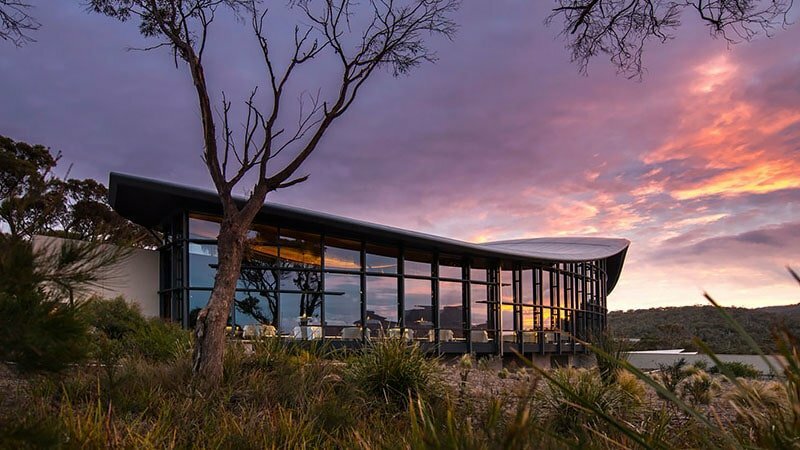 Located within Freycinet National Park, this luxury accommodation celebrates the state’s natural beauty. With waves lapping at the boardwalk to your room and the dramatic pink granite Hazards mountain range residing in the backdrop, Picnic Island will take your breath away. By day, watch for dolphins and seals. Then, as the sun sets, witness the incredible sight of penguins flocking to the shores. Throughout the year, there is a range of different activities available on the island. If taking part in a hosted kayaking, yoga or cooking retreat is on your bucket list, Picnic Island is waiting. Additionally, avid fishers may try their luck at catching squid and flathead or go diving for abalone, crayfish and more. If you love art, history, and luxury, then you will adore the Islington. Built in 1847, this former stately home is now an eclectic, eleven room lodging. As a result of its history, it’s consequently described as a charming “home away from home.” The hotel features both modern art and ancient antiques for a lovely blend. Through this combination of Tasmanian history and contemporary features, each room becomes a work of art. While there, explore the sprawling gardens which offer views of Mt. Wellington. Alternatively, relax with a glass of wine from the hotel’s extensive cellar in one of the beautiful common areas. Book this boutique hotel with Mr & Mrs Smith for the best available rates, money back with every booking and a free extra on arrival. Situated between the Bay of Fires, Wineglass Bay and Freycinet National Park, Saltwater Sunrise is a prime destination to experience Tasmania’s beauty. Enjoy a romantic getaway with your partner or a relaxing retreat with friends. Couples’ luxury villas provide private sanctuaries with stunning views of the Pacific Ocean. If day spas are your epitome of luxury, however, there are also villas available with private spas and saunas. 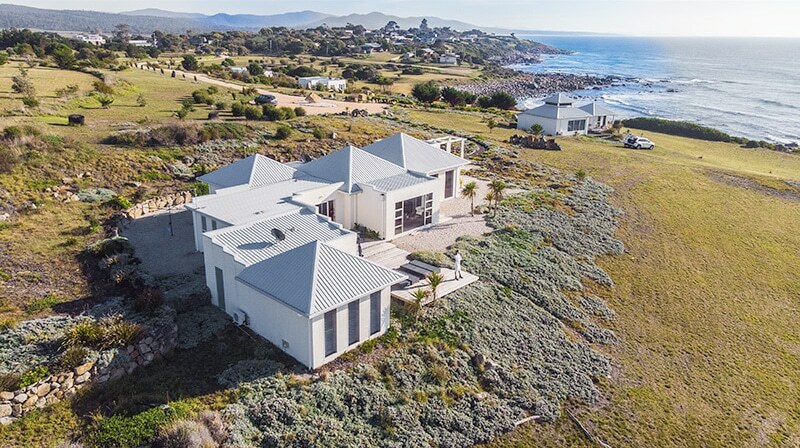 Finally, the Super King Villa, which sits 100 metres above the Pacific Ocean, offers three bedrooms and two bathrooms for groups looking for a perfect getaway. While there, explore the white beaches and flaming orange granite mountains of the Bay of Fires. Then, take a walk through 5km of Tasmanian rainforest to the breathtaking St Columba waterfall. At Pumphouse Point, guests have a variety of luxury room options. The stunning retreat features three buildings that each offer a different, unique experience. First, there is the Shorehouse. Situated by the lake, this classic art-deco building features rooms with lake or bushland views. Next, there is the Pumphouse, which sits upon a breathtaking glacial lake. Around 250m away from the shoreline, there are multiple lounges, guest rooms, and a help-yourself bar. Each of these Pumphouse spaces features views across the lake and out to the mountains. Finally, there is the Retreat. This hidden dwelling resides by the lake amongst the shrubbery of the bush. It features locally crafted furniture and access to the shared table Shorehouse dining room. During your stay, embrace adventure with a row across the lake, bike through the mountains or a hike in the bush. To get a special discount on your next Tassie holiday use this link from Booking.com. True luxury lies in the details, and at Saffire Freycinet Retreat, the details are superb. The beauty of this luxury lodge results from the inspiration drawn from its surrounding natural environment. Consequently, elements of the Tasmanian landscape feature in every facet of its award-winning design. Organic buildings reflect the surrounding coastline’s purity while stone and timber finishes bring the outside world in. During your stay, partake in any number of signature experiences, such as hiking in Freycinet National Park, cruising the coastline, interacting with local marine animals or exploring the wilderness on a quad bike. If, however, you prefer to stay indoors, an exclusive lounge, spa and gym await you as well as the world-renowned Palate restaurant. 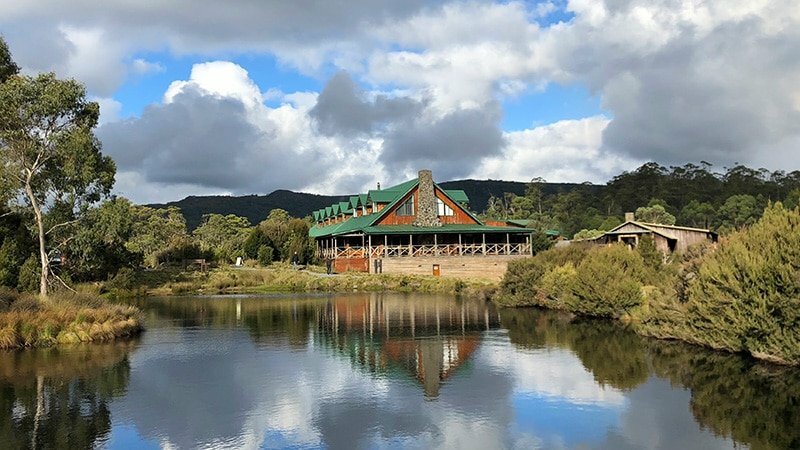 Found right on the edge of a stunning World Heritage site is Peppers Cradle Mountain Lodge. While there, guests are truly immersed in the wilderness, overlooking flora and fauna of Cradle Mountain. As this is an alpine resort, snowfall often transforms this secluded retreat into a winter wonderland. Additionally, the exclusion of TVs and limited Wi-Fi and network coverage allows you to disconnect from the outside world. If, however, work calls, these services are still available in the main building. Throughout the day, Peppers offers a range of activities to make your stay memorable. Paddle across the serene Dove Lake, explore the surrounding hiking trails or relax at the spa. Then, as the sun sets, make your way to the fine dining Highland Restaurant or the rustic Tavern Bar and Bistro. 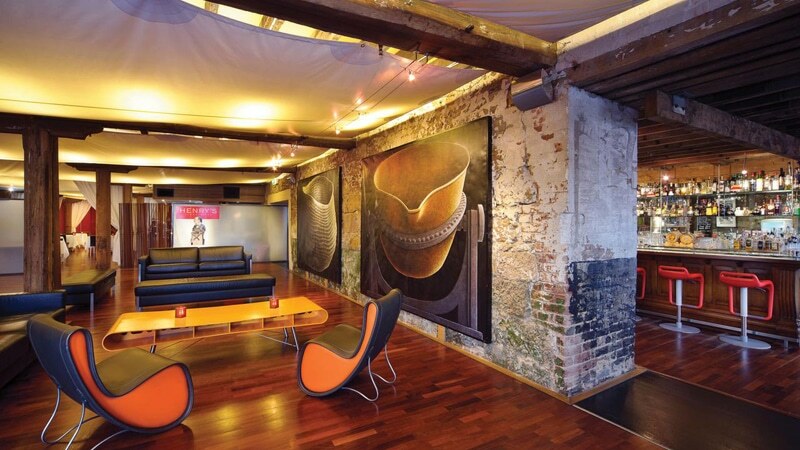 Seamlessly blending history and modernity, the Henry Jones Art Hotel is Australia’s first dedicated art hotel. This unique space transforms one of Tasmania’s oldest, most iconic waterfront warehouses into modern, boutique accommodation. The original building, which was built in 1804, was the site of Australia’s famous H. Jones and Co. In 2004, the former workplace of this industry giant re-emerged as a unique five-star hotel. Today, it features a changing exhibition of over 400 artworks and celebrates Tasmanian talent. Inside, everything from the art and the furniture to the walls themselves reflect Hobart’s history, culture, and aesthetic. In addition to this, the waterfront location provides views that’ll indulge your eyes while award-winning restaurants and bars tantalise your taste buds. 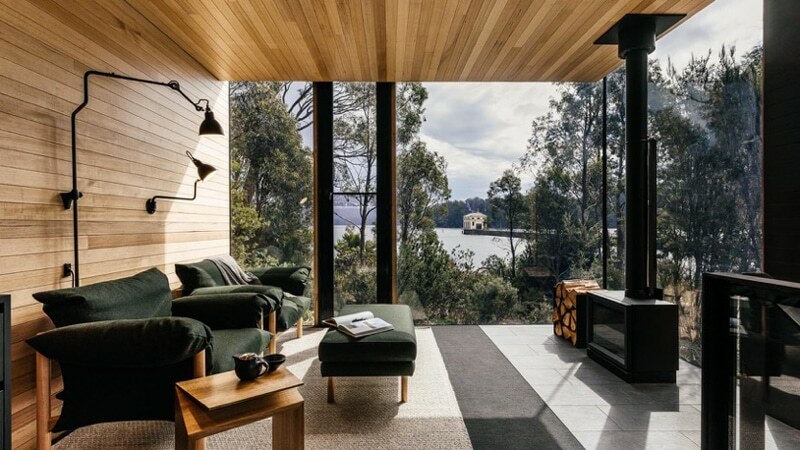 Escape to the rugged wilderness of East Coast Tasmania with a journey to Piermont Retreat. There, the charming hospitality of this family-run business blends with luxury service and breathtaking surroundings. 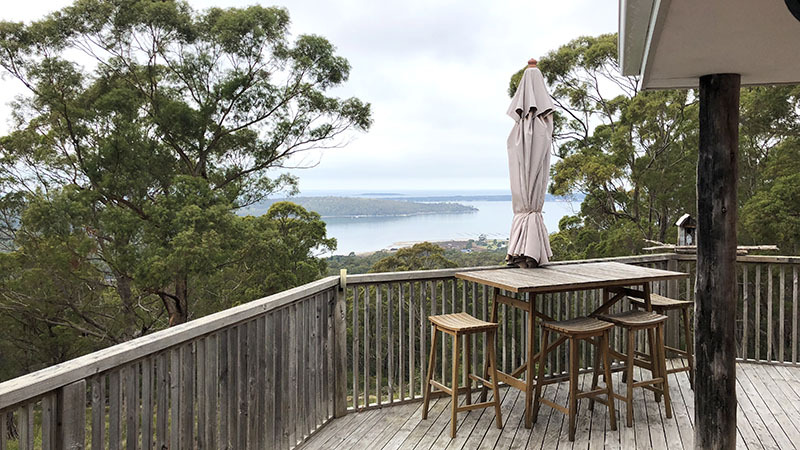 Relax in one of the retreat’s 15 cottages, nestled amongst the forest of gum trees and she-oaks. Each comes complete with a romantic log fire, spa bath, kitchen, laundry and beachfront deck. If however, European features, Tasmanian timber surfaces and spa bathrooms with ocean views sound more like you, book a stay in one of Piermont’s suites. When your rumbling stomach begins to disturb the tranquillity, head to the Homestead Restaurant. There, chefs and farmers unite to create seasonal menus that feature fresh, local produce. Enjoy riverfront views along with luxury accommodation at the heritage listed Woodbridge on the Derwent. Set in one of Australia’s oldest, historic mansions, each room features 200-year-old blackwood flooring expertly juxtaposed against contemporary furnishings. Eight accommodation spaces are available, ranging from spa suites and terrace rooms to those located in the unique tower. If you’re interested in attending MONA gallery’s phenomenal winter festival known as Dark MOFO, take note. Woodbridge offers exclusive use of the entire mansion during the June period. This option grants you and 15 of your closest friends access to six decadent rooms, two spa suites and private chefs during your stay. Nestled in the renowned Bay of Fires is the aptly named Bed in the Treetops. 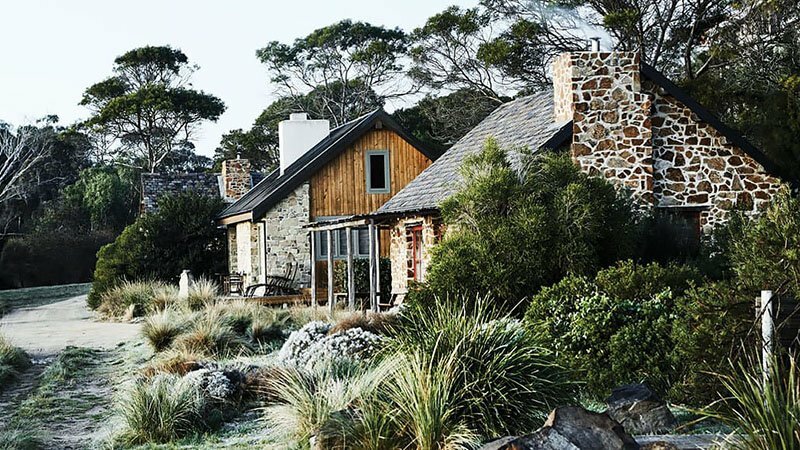 Built with Tasmanian timber, this luxury bed and breakfast rests 160m above sea level. As a result of the high vantage point, guests can gaze out over the surrounding bays, St Helens Island and the ocean. In addition to this, native birds can also be spotted amongst the treetops while wallabies, possums, echidnas and wombats roam the grounds below. Sit back and relax in one of two accommodation options, including the romantic or deluxe spa suite. When you’re ready for some adventure, swim or fish at one of the nearby beaches, take a bushwalk through the National Park, or enjoy a hit of tennis. If you’re celebrating a special occasion, drive to one of the beautiful nearby wineries or take to the sky in a scenic flight.